We love our velvets! The colours and the wash makes every item soulful and personal. They are soft and have a great handfeel thanks to that they have been carefully stonewashed to give a fantastic soft handfeel. 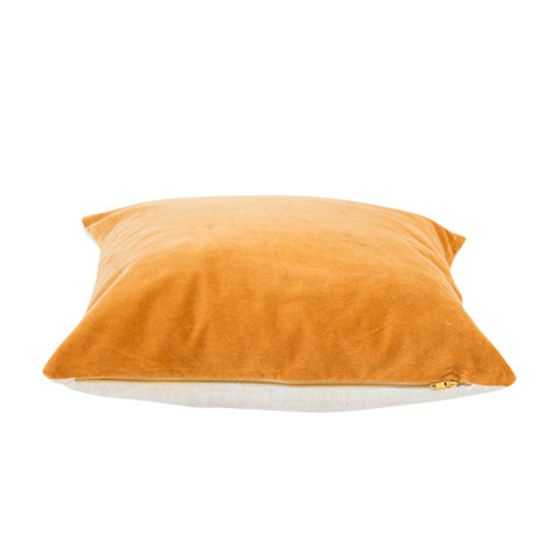 Menorca cushioncover is made of cottonvelvet on front and linen on backside. The cushions have been carefully stonewashed to give a naturally faded look and and an even more soft feeling. Handle it with love. The golden zip it’s a great and modern feature on the cushion that makes it Soulosofied.